As owner and designer Jean Louise Paquin Allen has over twenty years of experience in the floral industry. Prior to opening Juniper Flowers in 2003, she worked as a freelance designer. While this allowed her to work on premier events in Boston, New York and Seattle, it couldn’t compare to her own storefront. 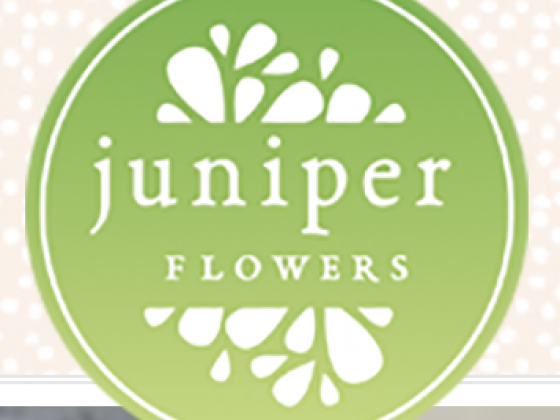 Jean Louise’s experience equipped her to open Juniper Flowers, where she has happily been arranging flowers ever since. Originally from the East Coast, Jean Louise graduated from Massachusetts College of Art in 1993 with a BFA in Painting. Now, as a top Seattle and Bellevue florist, she brings exquisite arrangements to residents of Seattle, Bellevue and surrounding areas. She incorporates attention to detail, color palette, texture and depth into every aspect of floral design. 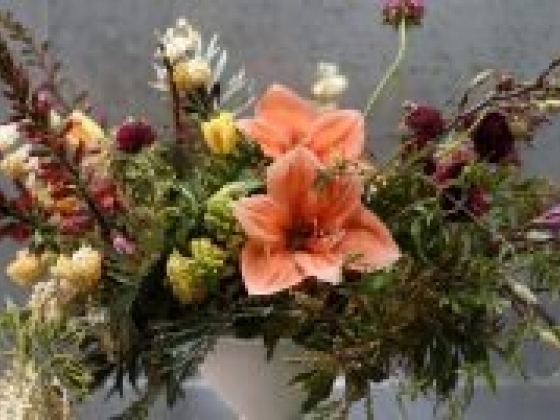 Juniper Flowers delivers every polished arrangement with professionalism. As for the shop, Juniper Flowers is constantly arranging creative works of floral art. Every stem leaving our shop has been carefully selected. We artfully arrange each bloom to bring a client’s vision to life. Whether a bouquet for your sweetheart or a touch of elegance for the office, we offer a piece of floral art for every occasion. Juniper Flowers regularly offers everyday, corporate, and wedding flowers, but we also host workshops for adults and children! 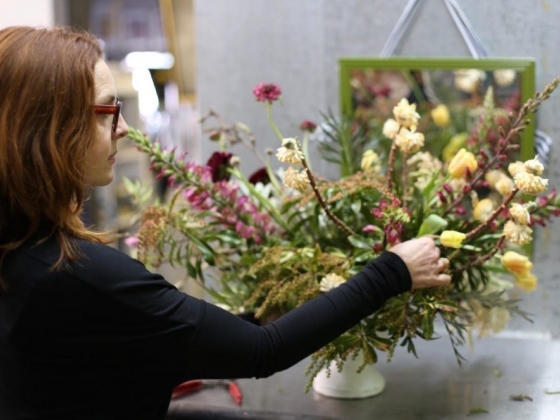 We currently offer seasonal floral design classes, holiday decor classes and terrarium building at our studio. We also host design classes at your home. We can join you for holiday events, children’s birthday parties, or any other occasion. Make an impression on guests and learn the tips and tricks of floral design in any setting you choose. Most of all, have fun learning something new! Along with her love for art and flowers, Jean Louise is inspired by the beach, early mornings with black coffee and nature! Make an appointment at the shop to meet Jean Louise in person and craft a one-of-a-kind floral arrangement for any occasion .